Ken Webb has announced his intention to seek the at-large Cleveland City Council seat in the August 2, 2018, Cleveland City election. The Cleveland City Council has five members elected from districts within the city and two at-large members elected from the entire city. Webb is a Bradley County native, a 1972 graduate of Charleston High School and 1974 graduate of Cleveland State Community College. He earned his bachelor’s degree in accounting at Tennessee Wesleyan College in 1976. He passed the Uniform Certified Public Accountant Examination in 1979 and held an active certificate until his retirement from Cleveland Utilities. He and his wife of 44 years, Dianne, have two daughters, Katherine (Nick) Gouge of Erwin, Tennessee, and Rebecca (Bubba) Bacon of Charleston, Tennessee. They are proud grandparents of Miles and Owen Gouge and Brody and Darcy Grace Bacon. Webb spent his entire professional career in Cleveland. Upon graduation from Tennessee Wesleyan, he was employed by the late Tommy Randolph and his partner, Gerry Kersey, as a staff accountant in their certified public accounting firm in Cleveland. In 1981, he became chief accountant at American Uniform Co. He joined Cleveland Utilities in 1987 as senior accountant. He became manager of accounts in 1988. In 2012, he was named senior vice president/chief financial officer and in October 2013, was promoted to president/CEO, serving until his retirement at the end of 2016. Webb’s community involvement has included a variety of areas of service. While a member of the Cleveland/Bradley Chamber of Commerce Board of Directors, he served as treasurer. As a representative of Cleveland Utilities, he was on The Chamber Economic Development Council and Industrial Development Board and The Board of Directors of The Southeast Industrial Development Association. He also served on the Board of Directors of the United Way of the Ocoee Region and as a United Way Distribution Panel member and chairman. 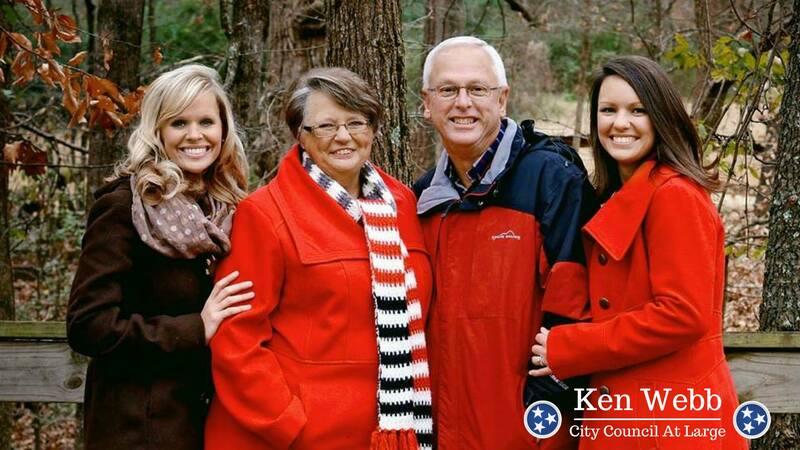 He previously served on the Bradley County Tax Equalization Board and The Cleveland Shade Tree Board. Currently he is a member of the Board of Directors for Life Bridges, which provides services to individuals with intellectual disabilities in the local community. Webb and his wife have been members of Wesley Memorial United Methodist Church since 1984. He has served in numerous capacities at Wesley, including Stewardship Committee, Building Committee, Trustee, and Staff-Parish Relations Committee and as a delegate to the Annual Conference for the Holston Conference. He was also treasurer and community lay director for the Cleveland Emmaus Community. His current activities at Wesley include the Endowment Committee (chairman), Finance Committee, Board of Directors of Gibson Woods, and Church Council. He is also chairman of the Hiwassee (Cleveland) District United Methodist Church Trustees and is on the Board of Directors for Camp Lookout, a church camp owned by the Hiwassee (Cleveland) and Scenic South (Chattanooga) Districts of the Holston Conference of The United Methodist Church. 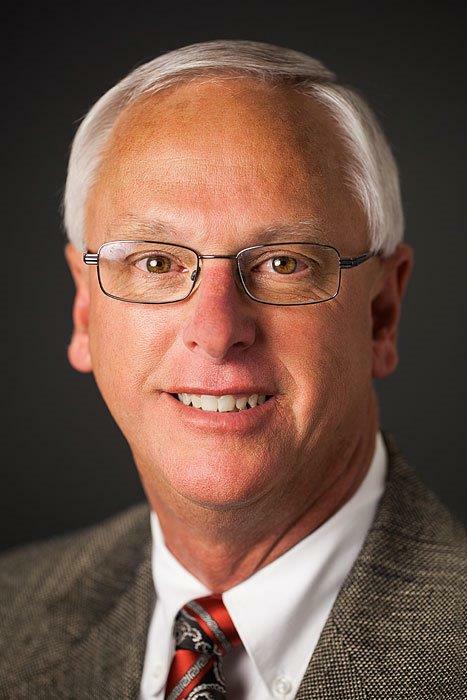 He serves on the conference level as a member of The Holston Conference Insurance and Pension Committee and on the Board of Directors of the Holston Conference Foundation. Financial Stewardship and Budget Discipline – The entire budget process demands transparency and disclosure. The budget is a primary communication and financial tool for the city. Budgets should be developed in such a way city services are made readily available and without revenue funding those budgets becoming a burden on taxpayers. Taxes must be fair and equitable and based on measurable criteria. “When provided for in the law, we should explore and consider implementing programs of potential tax assistance to qualifying senior and disabled citizens on fixed and limited income,” Webb noted. Cost control and the most efficient use of resources must be the rule, not the exception. However, low cost will not outweigh quality. Straying from the budget plan with unbudgeted expenses and outlays requires extreme care and should only be considered when it is determined funds are available and in the best interest of taxpayers. Join us and start making a difference today! You are a crucial part of our team, and we can’t do this without you.